6-pdr Hotchkiss QF. Photograph copyrighted by John A. Roberts. These guns were originally known as "6-pdr Hotchkiss guns" and were introduced in 1884 for use against torpedo boats. Used during World War I on the Arethusa and early "C" class cruisers and a few submarines as well as on Monitors M.15 through M.33. Many were subsequently used as sub-caliber and saluting guns which meant that they were still available in 1939. That gave these guns a new lease on life, as many were hurriedly converted back to shooting guns for small ships such as MTBs, MLs and "Flower" class corvettes. Some weapons were also adapted for coastal defense. 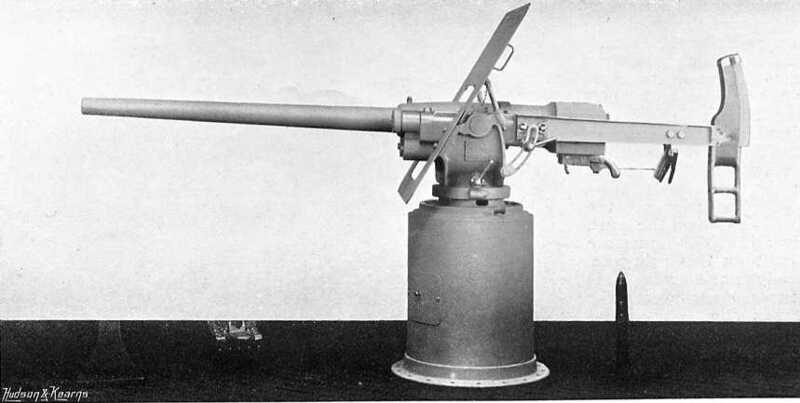 The original Mark I gun had a barrel and short jacket with a locking hoop screwed to the front of the jacket. The Mark I* had a different recocking lever, but in 1890 all guns were altered to this standard and all guns were then redesignated as Mark I. During World War II, the converted ex-saluting guns were designated as Mark I*. Mark I** was apparently not in service, while Mark I*** were converted single tube guns left over from the First World War. The Mark II was an army gun converted to fit on naval mountings. All had vertical sliding breech blocks. A total of 3,984 guns were on naval lists, but at least 2,344 of these had been stricken by 1939. Of those that remained, almost all were Mark I. ^Outfits for most ships included both AP and HE rounds. Some mountings were modified during World War I to allow HA fire. "Elswick Pattern" 6-pdr gun under construction at the Elswick Works. Photograph courtesy of Dave Perkins. 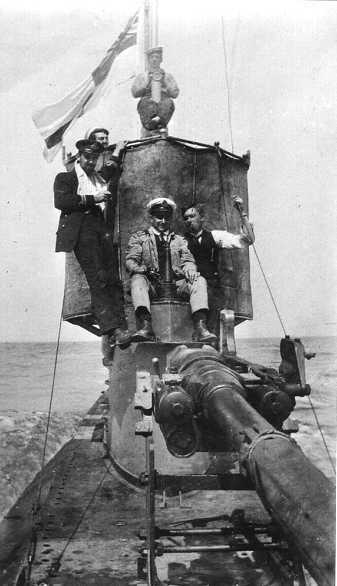 6-pdr on anti-zepplin HA mounting on submarine D3. D3 was later fitted with a more conventional 6-pdr and often operated without a gun. Photograph from the collection of Dave Perkins and used here by his permission. 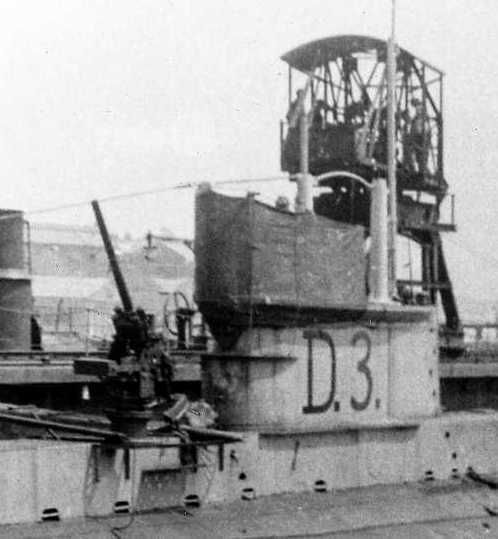 6-pdr on submarine H2 off La Spezzia following a refit in 1917. The officer in his shirt-sleeves is a Canadian. This gun was one of those removed from obsolescent battleships at the beginning of the war for use on patrol craft. The mounting was manufactured in 1915 by the dockyard at Malta and its extemporized nature is obvious. Photograph from the collection of Dave Perkins and used here by his permission. 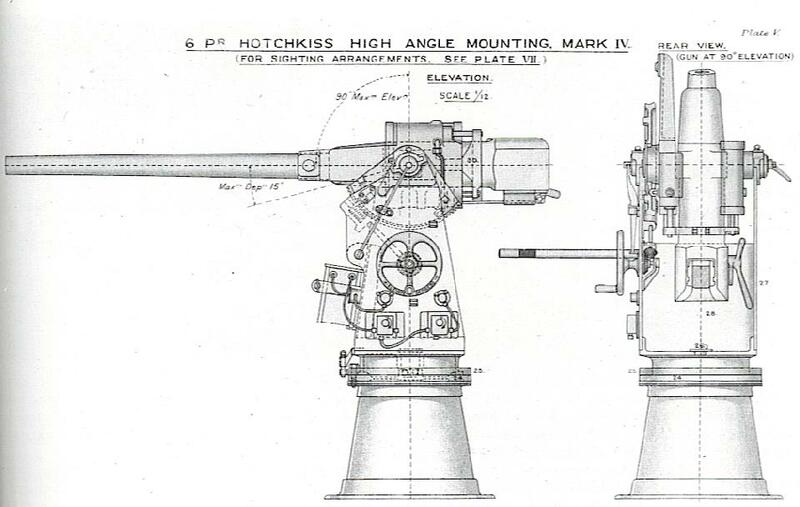 Illustration from the official 6-pdr Handbook showing Hotchkiss 6-pdr on Mark IV HA mounting. Note the bar for rapid training. 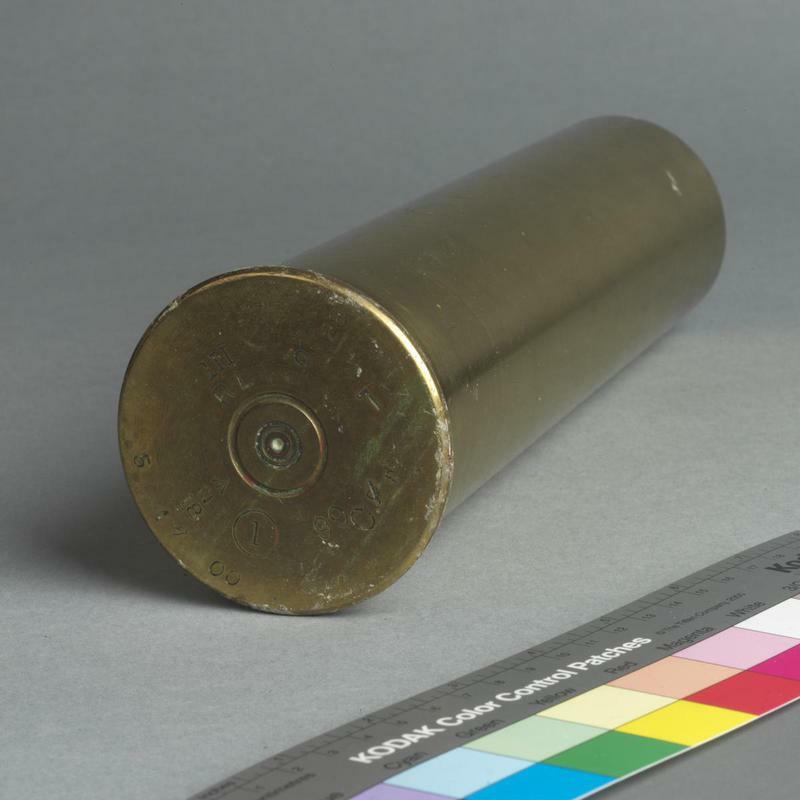 Casing from a 6-pdr round. IWM Photograph MUN 3282.